With simple ingredients, time-tested recipes and fun, seasonally-rotating flavors, it’s easy to see why the leader of the haute cupcake craze continues to bake up one of the best cupcakes in L.A. Cupcakes are made fresh daily at each location, while the sprinkles are handcrafted from sugar tooth-approved ingredients like sweet cream butter, bittersweet Belgian chocolate, pure Madagascar Bourbon vanilla and real strawberries. Each cupcake is topped with the Sprinkles trademark dot, rich chocolate sprinkles from France or seasonal sugar decorations. 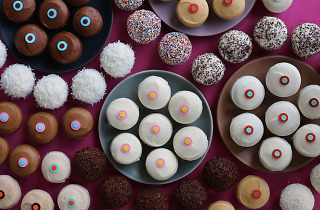 If you're looking for something to cool you down during L.A.'s neverending summer, pop over to the ice cream sister store for a scoop of a Sprinkles cupcake-inspired flavor. 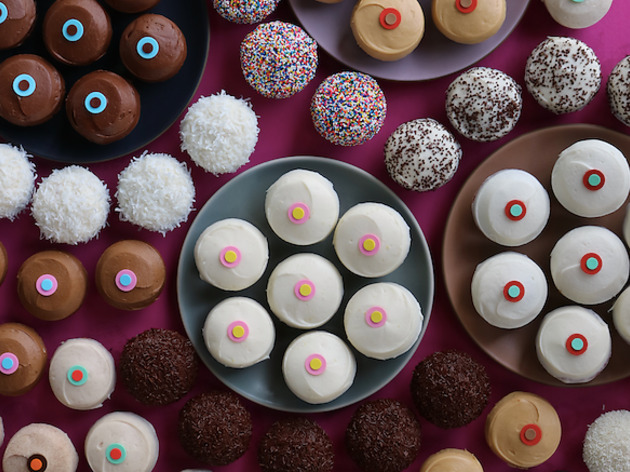 Be sure to check out the spread when the holidays come around—a dozen festive cupcakes is the perfect holiday party treat.